Education is so very important to us, and my youngest son is definitely a stubborn little boy. When my oldest was at this age, he was counting to 20, knew all his colors and shapes. My "baby boy" is two years and 3 months and he is not interested in learning any of that. 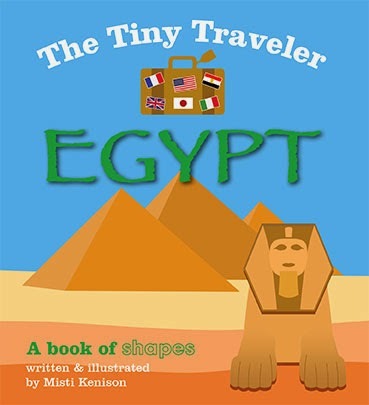 I was recently asked to review The Tiny Traveler series and they sent me the books Egypt and France. Both are fantastic books because they introduce the children to shapes or colors and also teach a little about the countries that are covered with pictures that pertain to each place. 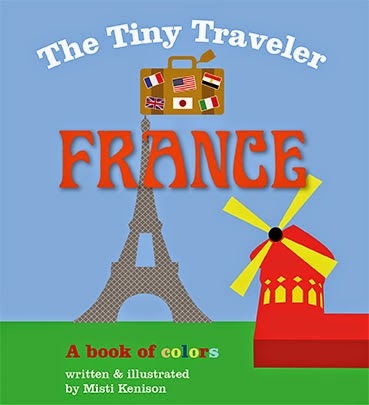 France covers colors and I love the colorful pictures. I was actually able to get my little guy to sit through the whole (very short haha) book before he got bored. I love that it teaches children (ages 0-3) about colors with pictures of things happening in other countries. Even though they may not realize it is someplace different yet, I think exposing them to foreign things at a young age allows them to be more open minded of trying new things when they are older. Unlike many other baby board books, which use basic items such as fruit or animals to teach primary concepts, The Tiny Traveler series uses exotic, fantastic images from places around the world to illustrate these concepts. From the Eiffel Tower, to the Great Pyramids, children will learn the basics of colors and shapes while also learning about these famous landmarks. Egypt teaches about counting using wonderful pictures of pyramids and other awesome things set on a dessert landscape. My son genuinely seems to be enjoying these books and we have made them a part of our daily story time. Overall, I love the board books and love that they teach important life skills but are a little different than what you might find in your nearest store. GENERAL REVIEW DISCLOSURE: Disclosure: The above item was received in order to facilitate review. I have not been compensated for this post. Top Notch Material blog will always provide honest opinions, beliefs or experiences on products reviewed. We will only recommend products or services that we feel are of benefit to our readers. If you have any questions, please contact me at nursemommypaige@yahoo.com The disclosure is done in accordance with the Federal Trade Commission 10 CFR, Part 255 Guides Concerning the use of Endorsements and Testimonials in Advertising. This looks like a great book. As i am having some of the same issue with my 2 year old grandson. .
My daughter would have loved this at that age; she's always been interested in Egypt. Sounds like a fun, good educational book. Wish this book was around when my 8yo boy was a tot!